Switchin’ up your garms for a new season? JD NOW brings you all the hottest street-ready brands droppin’ their latest Spring collections! 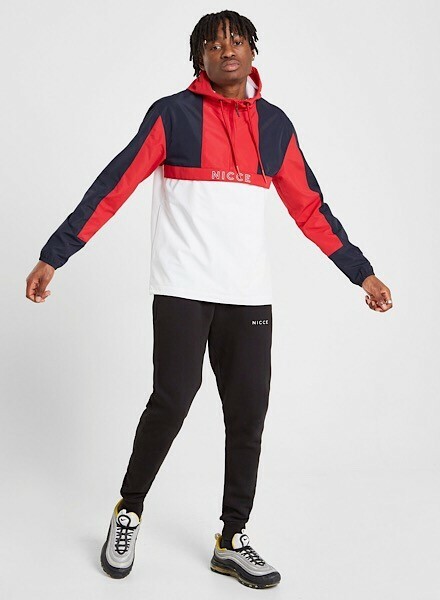 With the likes of Champion, Nicce, SikSilk, Guess and way more landing must-have freshness, we’ve collected our fave pieces you’ll be seeing everywhere this season. Hailing the retro revival, Champion is at the top of their game providing all the throwback favourites. 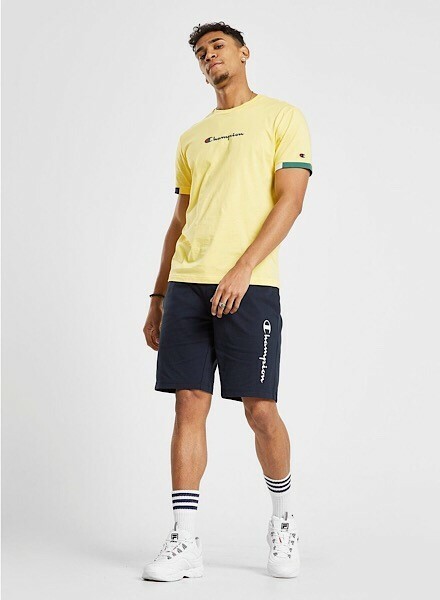 Reppin’ this Colour Block Sleeve T-Shirt in a pastel yellow colourway for a hint of Spring, these Script Jersey Shorts are comfy and must cop. Keepin’ things cool as the weather heats up, this is a ‘fit you’ll want to keep flexin’ all season. Droppin’ to JD just last month, Guess is bringing a premium upgrade to any street ‘fit. 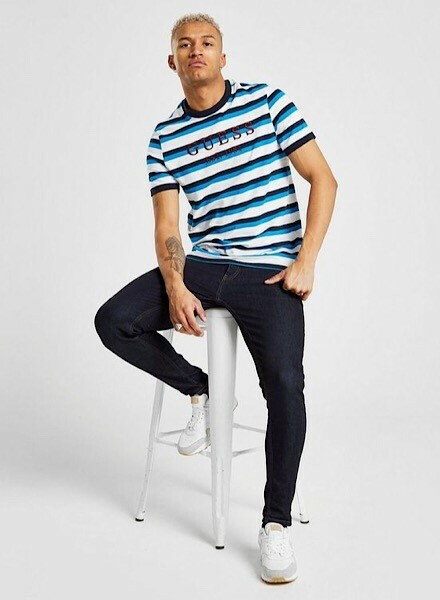 This season they’re keeping it all colourful by dropping this Logo Stripe T-Shirt available in standout blue and low-key khaki. From the streets to the sofa, match this tee up with a pair of jeans or joggers for a ‘fit ready for anything. That feelin’ when you’re ready for the warm weather, then remember where you live 😩 Well fear not, this men’s Byron Overhead Jacket keeps you covered when the rainy weather returns. Getting you prepped for the April showers, this jacket still brings the colour burst we all crave. King of the streets, SikSilk never fails to drop the latest urban garms to refresh your new season wardrobe. Keeping it simple yet statement, this men’s Side Tape T-Shirt is ready to rep anywhere. 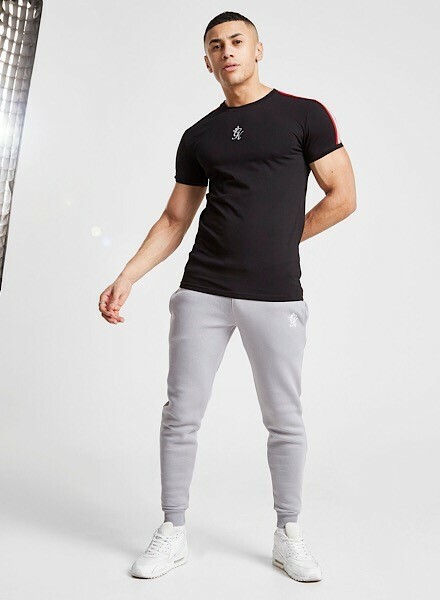 Lookin’ perfect paired up with these Spring Track Pants to brighten up your ‘fit, you can stay reppin’ the freshest all season. After more of a Spring-ready look? Check out this sports-inspired Basketball Floral T-Shirt! JD NOW brings all the latest street-ready pieces fresh to you. With our biggest brands gearing you up to step out, check out what’s hot on site.